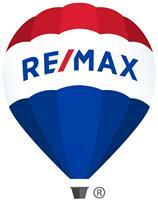 I have been a professional REALTOR® since 2004, working with RE/MAX Checkmate Realtors in Johnson City. Before RE/MAX I owned my own business a NEXTEL Independent dealership, also in Johnson City. Since joining RE/MAX I have had the privilege of helping dozens of families find their dream homes and dozens more sell their homes in a timely manner. I’ve also worked with numerous area builders and developers from the beginning stage of finding them land to the finishing stages of listing and selling the homes and lots. No one will work harder to market your property or help you find the home of your dreams. I will go the extra mile to meet your needs and accomplish your goals. I will be happy to furnish you with numerous references up on request.